The 9th of February was just an ordinary day, but not for Bushey Meads. We had a visitor: Harry Bibring. One of the few Holocaust survivors left in the WORLD. He delivered us a talk and the main reason was so that we could personally experience what a child our age would have felt during those times and how he felt. 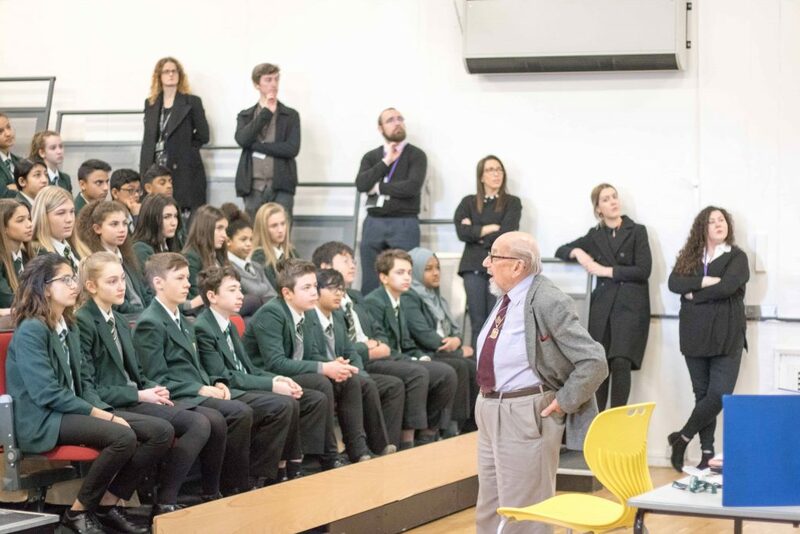 This talk was delivered to the whole of Year 9, since we are studying the play “Kindertransport” in English. Harry travelled to England from Vienna on the Kindertransport in 1939. This was an initiative that England, Sir Nicholas Winton in particular, introduced to save and transport Jewish refugee children to England during the time. The talk lasted for two hours which you’d think would be boring! But he did not bore us at all and we all were so interested in Harry Bibring’s story and past. We even got to look at some paperwork that he had kept from when he was young; it was amazing that we had the chance to do that. We are so glad that Miss Buck and Miss Levitan had organised this knowledgeable experience. The whole talk was very interesting and there were a few points that we picked out that we hadn’t known before. For example, we were told that a lot of Jewish families were fleeing to Shanghai to escape the horrors. Many Jews were also forced to live in a flat with 30 other Jewish people for a week without food. These were called the ‘Ghettos.’ It was just shocking. It’s unbelievable that we had Harry to tell us what his experience was like. 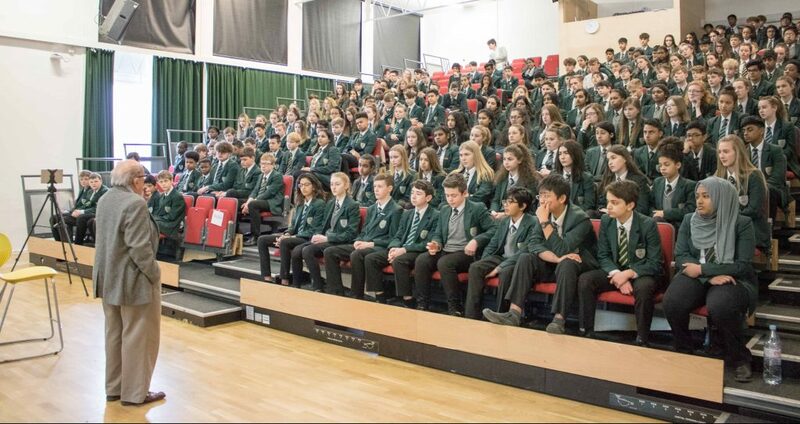 We are all extremely honoured that we got this once in a lifetime talk and we hope that Harry enjoyed our school.